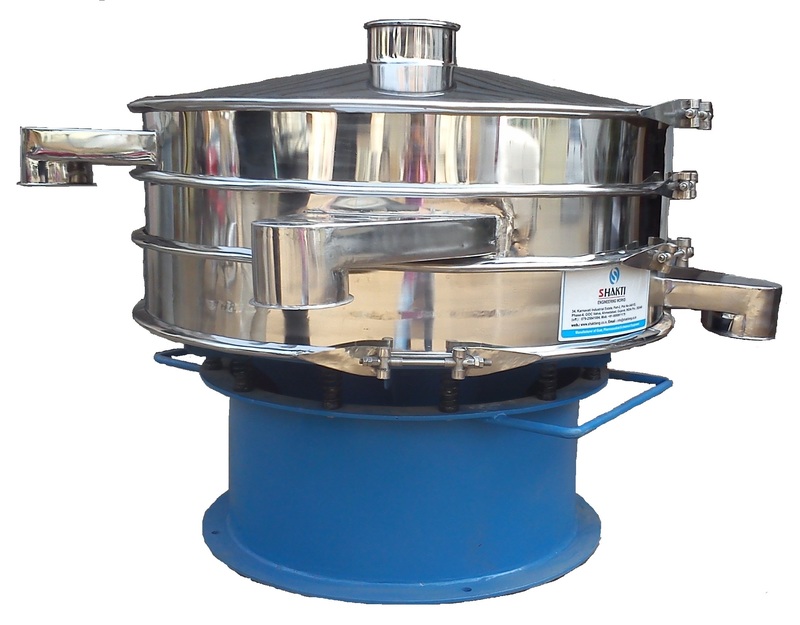 We are among-st the renowned suppliers of the most appealing and premium quality Vibro Sifter. We are having with us a dedicated team of experts who ensure to match the expectations of the customer with the excellence quality of the product offered. We offer both standard and custom sized and providing screening diameter of 24”, 30”, 32”, 39”, 48”, 60 etc. as per client needs. We are ready to accept customized order and make sure to deliver the batch within given timeline. We offer the product at affordable price range. “SHAKTI” Vibro Shifter are available in M.S., SS304L & SS316L. This entry was posted in Screening and Separation Machinery and tagged vibro sifter, vibro sifter ahmedabad, vibro sifter gujarat, vibro sifter india, vibro sifter machine exporter, vibro sifter manufacturer. Bookmark the permalink.